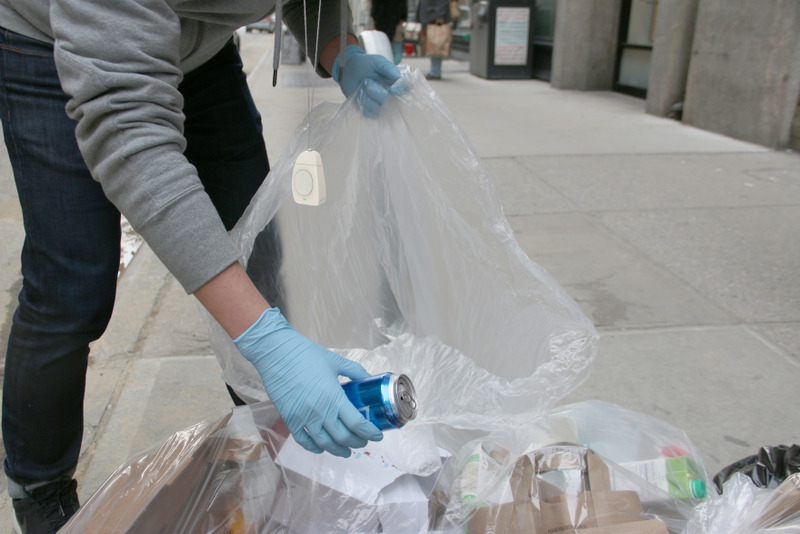 A common fixture in cities are the "canners" who scavenge through trash for used cans and bottles. Canners are the invisible workers that help ensure that recyclable materials get reclaimed: they return the discarded containers to recycling centers for money. It is not easy, especially for new canners, to identify which containers are of value: less experienced canners waste time and energy collecting containers that are later rejected at the recycling centers. 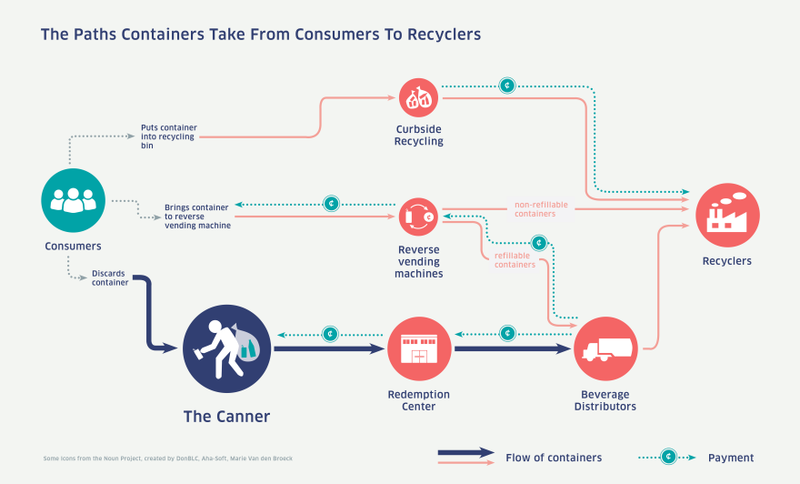 We conceived Sift as a platform that helps canners quickly figure out which containers can be returned for money in their state, while establishing a stronger connection between recycling center and canner. The same platform can be expanded into a system for education purposes: to help educators inculcate an awareness of reclaimable materials in children. 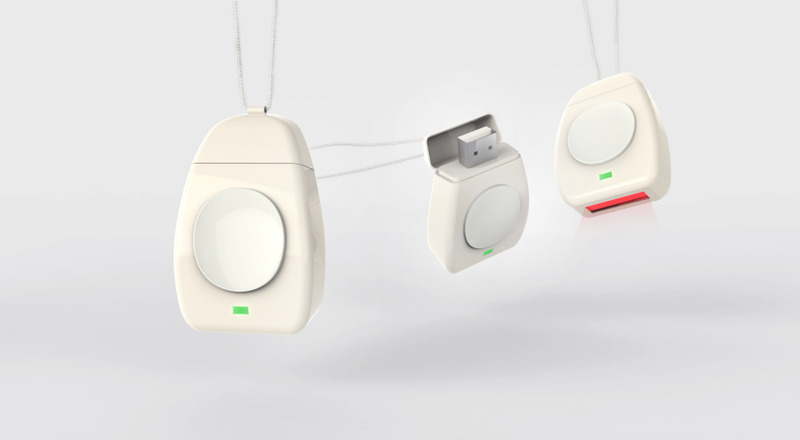 Sift Scanner The Sift Scanner is worn around the neck for quick accessibility. 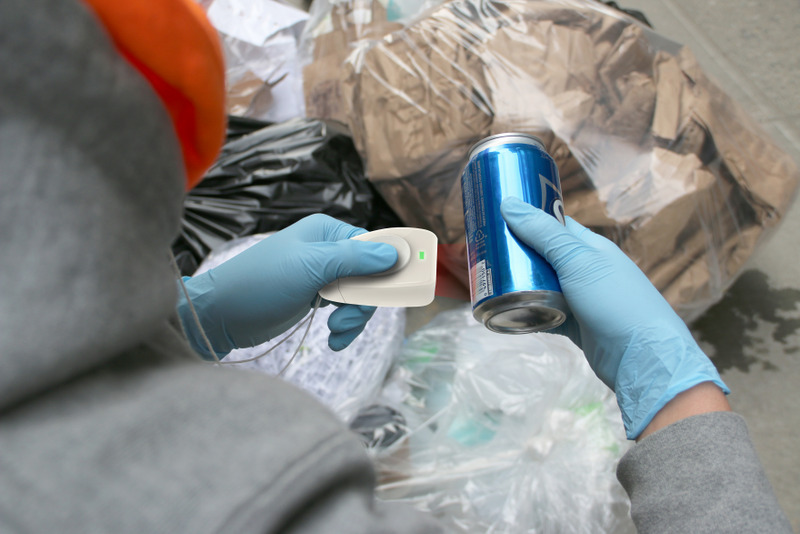 The Sift Scanner is used to scan and identify which cans can be redeemed for cash. Rendering of Sift Scanner The Sift Scanners is designed with a led indicator light that displays a green light for redeemable cans and a red light for non-redeemable cans, and a usb port for charging the scanner and updating the saved directory of redeemable cans. Research Photo A chart of redeemable cans/bottles at the redemption center, Sure We Can. Research Photo Canners organizing their cans/bottles at Sure We Can. Research Photo Interviewing a canner at Sure We Can. 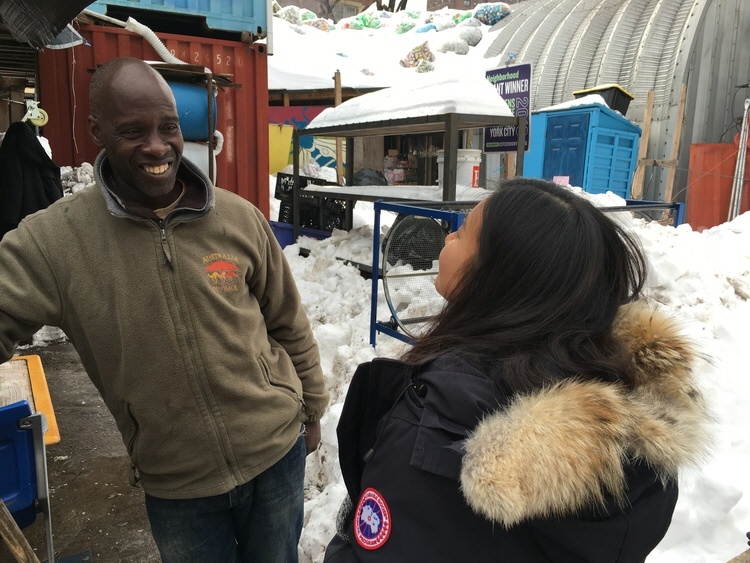 Canners are a huge part of a city’s invisible economy. Even though everyone today is pretty familiar with recycling, a lot of reclaimable material still gets thrown out. Thankfully, canners help ensure that as much of these containers get reclaimed as possible. They roam the streets, picking up discarded containers and returning them for money. 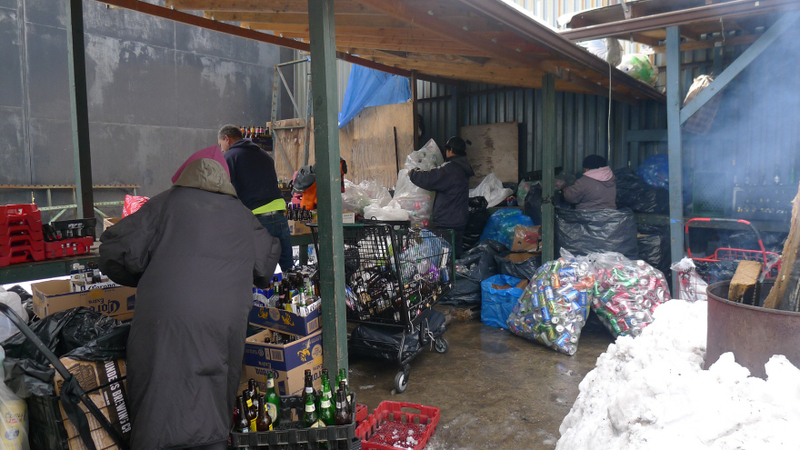 They exist worldwide: the Global Alliance of Waste Pickers lists 318 organizations from 31 countries. New York City has an estimated 5,000 canners: immigrants who speak little English, people who lost their jobs, or even elderly who want to stay busy post-retirement. The job is not easy. It is back-breaking work in the night, it involves carrying heavy loads, and it is competitive. But it is particularly challenging for less experienced canners because they find it difficult to identify which containers are returnable and which will be rejected. It takes time to learn these distinctions. This list can also change as new beverages are released. Many canners do not read English, so they cannot differentiate between similar-looking cans. This leads to several issues. There is wasted effort from the canner picking out containers that cannot be returned. This increases their heavy load, and wears them out. 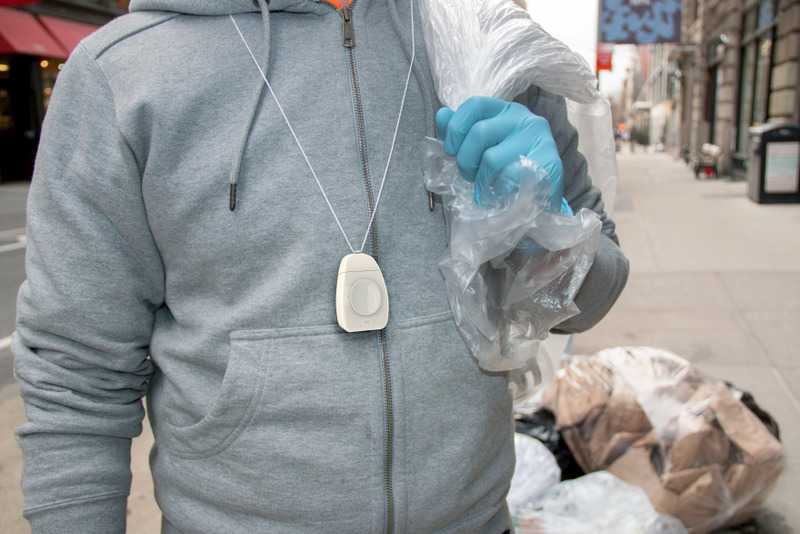 Bag space is money: a container picked up could mean another one sacrificed. This all adds to the overhead of the recycling centers rejecting containers that cannot be returned. Sift is a platform that helps canners quickly figure out on-the-job which containers can be returned for money. The platform consists of a network of handheld scanners for the canners, who scan barcodes of containers to find out if they are returnable. These scanners are loaned out by the recycling centers. We see Sift as a system that one, increases the efficiency of recyclable materials being reclaimed; two, helps an invisible community that finds it hard to integrate into society; three, increases efficiency for recycling centers; and four, strengthens relationships between recycling centers and canners. Even more than a way to onboard and help canners, Sift is a platform to encourage reclamation and recycling of materials that are thrown out. We see it as being most applicable to education, where teachers and parents can teach children about recycling. Here’s a walk-through of how the system works. A new canner shows up at a recycling center. The staff loans her a Sift scanner for a nominal deposit. The canner wears the scanner on her daily canning runs. Most times, she eyeballs a container and recognizes that it is returnable. Occasionally, she encounters an unfamiliar one. She points the scanner at the barcode, presses the button, and instantly learns that the container cannot be recycled. This saves her bag space and weight. Over time, the canner gains a strong intuition. She returns the scanner to the recycling center, which reimburses her deposit. The scanner helps canners determine which containers to discard. A single button is both the on/off switch and the scanning switch. The canner uses the device to scan the barcode, and the color of the light and the tone of the sound confirm if the container is returnable. The functionality was deliberately kept simple because the canner works fast, screens many containers, and just needs to know in the moment if it is returnable. Behind this yes/no scanning interaction lies more complex technology. The scanner needs to have a built-in database of recyclable containers to check each new barcode against. This database is maintained through the management system described in the next section. The form of the scanner is designed to fit the highly mobile, all-action nature of canning. It is to be worn around the neck of the canner, easily accessible at anytime while the canner is bent over rummaging through the trash. It is hardy to accommodate any kind of banging. The form is utilitarian, non-flashy: making it something not worth stealing but instead is meant to be returned. 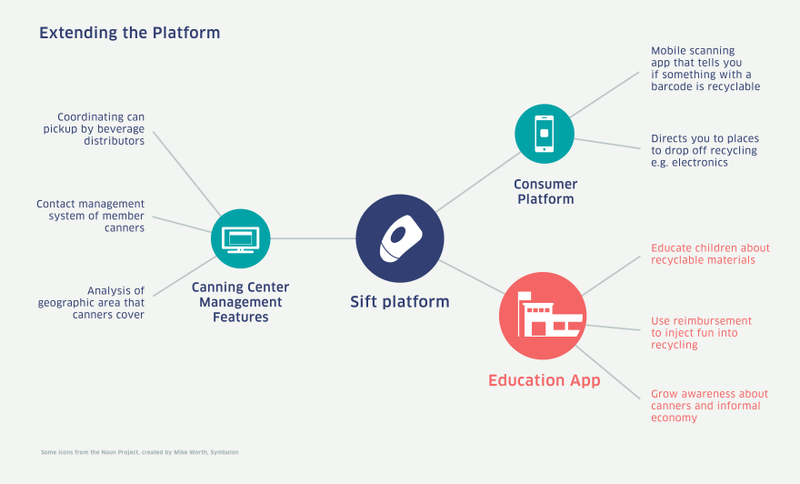 More than just a handheld scanner, Sift is a broader platform that includes the canning centers as stakeholders. The distribution of scanners is done through the center. 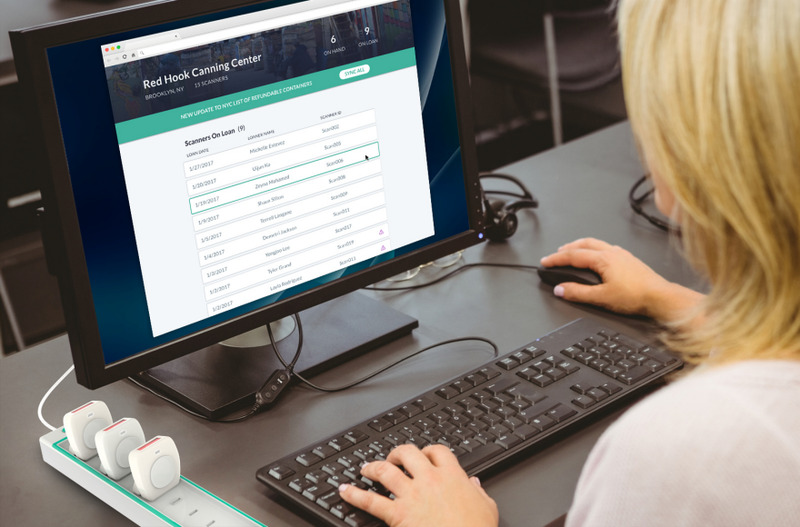 Through an easy-to-use management console and a charging strip, the center tracks their network of scanners, and updates all devices for new containers or changing state rules. The distribution system of the Sift scanners also strengthens the relationship between center and canner. 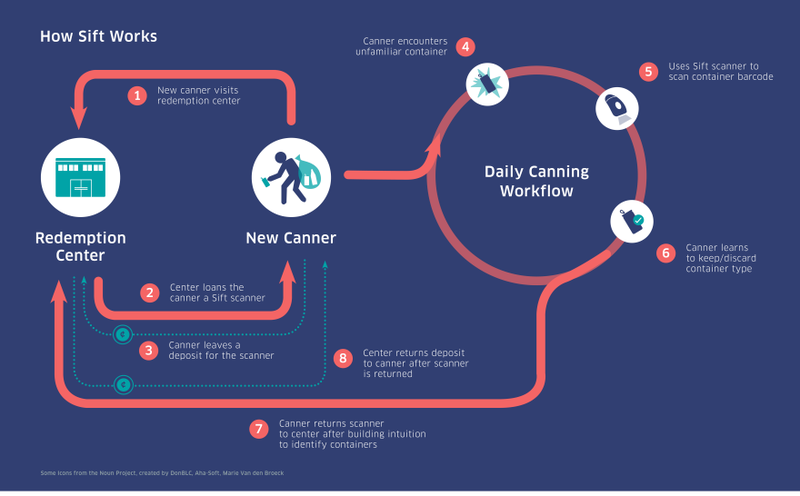 The scanners make the learning process easier for canners, and the canners see the recycling center as being more supportive. By ensuring that canners only bring in recyclable containers, the Sift platform also reduces the costs of recycling centers rejecting and discarding bad containers. The team did research to fully understand the canning ecosystem. We visited Sure We Can, a canning center in Brooklyn, where the founder, Ana, and her staff showed us around. We observed canners in action, and talked to canners such as the “King of Cans.” We learnt about the tools of the canner: shopping carts for large loads, gloves for hygiene, and separate bags for different container types. We also learnt about their pain points: having their “stolen” carts confiscated by merchants, and the pains of canning in the winter. The particular observation that led to us conceiving Sift was one where we learnt that canners had trouble identifying which containers to discard. To address this problem, the canning center had a giant poster tacked up with pictures of returnable containers. The poster could not be carried with the canners though: this led to canners wasting their efforts picking up non-returnable containers, only to realize their mistakes when they arrived at the center. Beyond just being a system for canners, we believe that the Sift platform can be leveraged to educate children on reclaimable materials. Instead of using physical scanners, the scanning interaction can be built into an app. The app would utilize the mobile device’s camera to scan barcodes. Teachers and parents could encourage children to scan the containers they use, and return them for money. They can then educate children about the canners, who do this as their daily jobs. In the process, children learn about the value that can be found in trash, and build empathy for the invisible economy of canners.